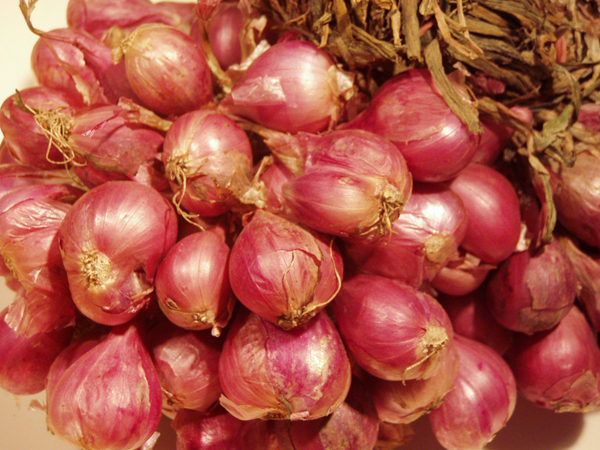 Shallots are used in many different Thai dishes, sometimes as a condiment in fish sauce, and they are almost always an ingredient in Thai chili pastes. Hom, meaning good smell, is the Thai word used to refer to most kinds of onion. หอมแดง (Hom daeng) means red onion.